The theme for I Heart Faces this week is, Slice of Life. 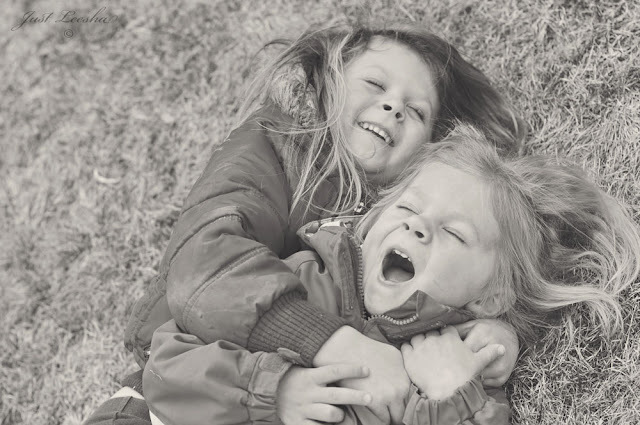 I love this photo of my girls playing outside. My little one is incredably tickleish and whenever she is grumpy or upset about something her big sister will try and give her a ‘tickle torture’ to lift her spirits. And in the end they both are full of giggles. Tee hee! So cute! Love it! So sweet! They look like best friends. this makes me smile. It reminds me of my girls and what you said is the same in our house. This made me smile 🙂 Great capture!